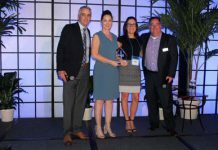 Mutoh America, Inc., was recently honored with the Specialty Graphic Imaging Association’s (SGIA) Product of the Year award for the ValueJet 1624X – 64 inch printer in the “Solvent or Latex Ink Under 80 inch” category, the ValueJet 2638X – 104 inch printer in the “Solvent or Latex Ink Over 80 inch” category, the ValueJet 1638UH – 64 inch UV-LED hybrid printer in the “Flatbed/Hybrid Under $100k” category, and ValueJet 626UF UV/LED flatbed in the “Tabletop Flatbed – industrial small item decoration” category. The competition recognizes the latest equipment and supplies currently on the market that are advancing the industry. Visit Mutoh’s booth at SGIA in Las Vegas, booth number 900 to see the award-winning printers in action. “The competition is bigger than ever, and with the additional nineteen categories it encompasses even more of the industry. You will want to visit the Golden Image/Product of the Year Gallery at the Expo so you can see all of the entries for yourself,” said Ray Weiss, director of Digital Print Programs, SGIA. The Golden Image/Product of the Year Gallery can be found in Hall C2 at the back of the show floor in the Las Vegas Convention Center. Winners will receive their Product of the Year jewels at a special presentation the evening before the 2018 SGIA Expo (Las Vegas, October 18-20) opens. 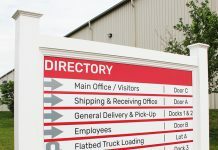 To learn more about Mutoh’s ValueJet 1624X, 2638X, 1638UH, 626UF, and all other products, visit www.mutoh.com.